I am so happy that you have chosen Chapman University to pursue your educational goals. I joined Chapman in the Fall of 2005 after spending 19 years at the University of Southern California. 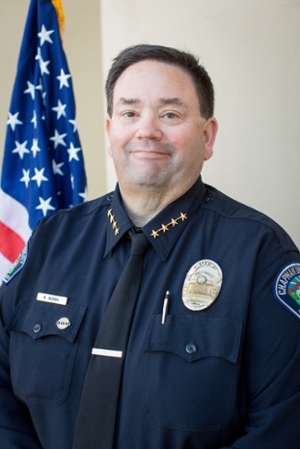 My entire career has been dedicated to campus safety and as the Chief of Public Safety; I have made a full time commitment to make Chapman University as safe as possible. It is important to understand that keeping a community safe is a partnership in which everyone's participation is critical to the mission. Public Safety's responsibility in the partnership is to give you the information and services you need to do your part. It is incumbent upon everyone to realize that we are located in an urban environment and good personal safety habits are a must. The Public Safety Department conducts 24-hour patrol of the University using automobile, foot and bicycle patrol methods. We also offer operation safe ride and crime prevention seminars. I have always believed that being proactive and preventing victimization is the best approach to creating a safe environment.